CareSmartz360 is now equipped with DMAS-90 form. Agency users can enable this setting from Office settings. Enabling this setting will ask mandatory questions from the Caregiver which caregiver can answer within the schedule time only. Note: – “Caregiver can answer the Questions from both Caregiver Web portal and Smartphone app. 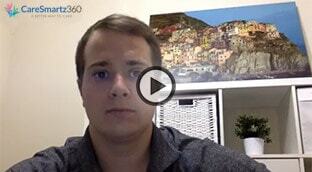 Caregiver needs to give mandatory comments if the answer is ‘yes’. Also, enabling this setting will ask Caregiver also to give Signature at the time of Clock-Out. Note: – “Agency will have to enable DMAS-90 settings from DMAS-90 tab in Office settings along with Client Signature settings in Main> Office Settings to enable Client Signature on the Shift. 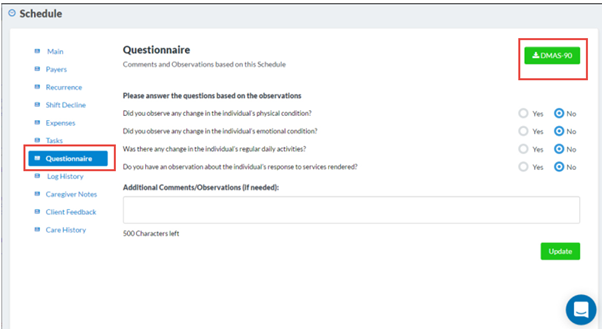 Agency User can also see the Questionnaire from Schedule Window > Questionnaire tab. Clicking on “Download DMAS-90” will download the form. 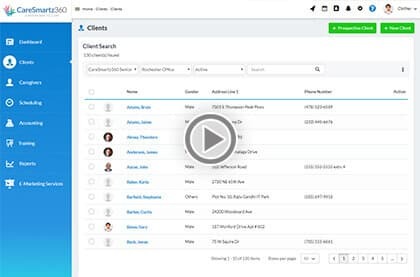 Agency Users can set the format of names on Client Invoice. This setting can be done from Billing section in Office setting. Agency users will be able to Configure default expense rates in the Rates section of Office Settings. Users can set the rate of respective expenses in Rates section of Office Settings and that rate will be auto filled when caregiver will enter an expense from Caregiver web portal or smartphone app. The caregiver will just enter the Units of the expense and rates will come from office settings. Users will see the drop-down of “Race” at the place of “Ethnicity” in Caregiver’s profile. Agency users will be able to send an email and/or SMS to all caregivers, regardless of the number of pages in the caregiver list. Also, Agency users can send custom email or SMS to the caregivers on different pages in one step. For example: If an Agency User wants to send SMS and Email to multiple Clients located on different pages. Earlier, Agency user was supposed to select the clients on Page 1 and send SMS or Email and then again had to select the Clients on Page 2 to send SMS and Email. From now onwards, Agency user will be able to select all clients on different pages and can send SMS and Email in one go. Note: – This feature will be available in all the profiles such as Client, Caregiver, Payer, Prospective Client, Other Staff, Caregiver Applicant, Address Book. Agency users will be able to manage the drop-down options for “Payment Type” in Payment Register by Client and Payment Register by Caregiver from Admin settings> Client> DDM-Client Management. 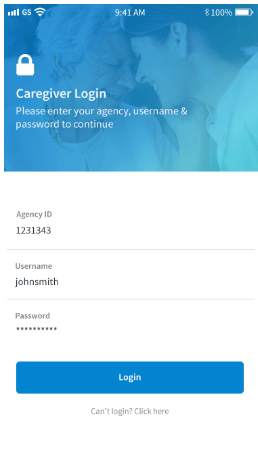 Agency users will be able to add multiple Email ID’s in Payer’s profile. 8. Free Form Text boxes are given at the bottom of the Companion Care, Personal Care and Transportation pages in the Assessment section of the Client’s Profile. Agency users will be able to make all positive and negative adjustments including Discount from Invoice Finalized Screen. Agency users will be able to mandate caregivers to provide update on Injury details prior to Clock-Out. This setting can be done from Office Settings > Main section. Agency users can bypass the “Minimum Radius” configuration in the Client profile. Enabling this check will make sure that all caregivers working with the specific client can Clock-In and Out from any location, and it will bypass the “Minimum Radius” configuration in Office Settings. From now on, Agencies in Canada which are associated with PAYweb to calculate payrolls of the Caregivers can now download PAYweb compatible payroll file to minimize the time to process the payroll in PAYweb . Agency User needs to click on “TimeCard Export” on “View Finalized Payroll Batches” screen to download the file and then they can import the TimeCard file in PAYweb. Agency users can see a new report “Payment Summary Report by Payer” in the Accounting module to track the payments made by Payers. 14. Copying schedule details of a recurrence schedules. When an agency user extends a recurring schedule, the new schedules will copy the details of schedule from which recurrence schedule is been extended instead of the details of the parent schedule. In CareSmartz360, Agencies can now download HHAexchange compatible Confirmed Visit Report. This report can be located under EVV category of reports by the name of Confirmed Visit Report. Agency Users of Office ‘A’ will be able to see the data of Office ‘A’ only. 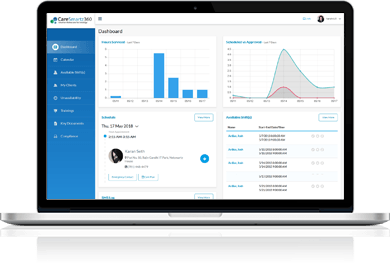 Data in all the screens on the portal say dashboard, Client, Payer, Prospective Clients, Caregiver, Staff, Caregiver Applicant, Scheduling, Accounting. Note: – Agency User will be able to see the reports of all offices. Agency users will be able to see Caregiver Notes as well in the “Task report by Client” in Report> Client section. Currently this report only provide Notes related to tasks but now this report will be having Caregiver Notes as well so that agencies can use the single report to view Tasks as well as Caregiver Notes in single report. Task/Communication for which Privacy is set to everyone, all agency users will be able to view the Task/Communication details pop-up but only users who will be able to edit the details will be the creator of the task and the user to which task is assigned to. 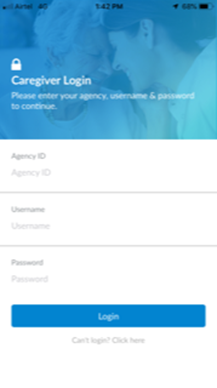 Caregivers will not need to enter the full Domain to Log In to the mobile app. Caregivers just need to add their Agency ID to Log In via Smartphone app. Note: Agency ID will be given in Office settings> Main. 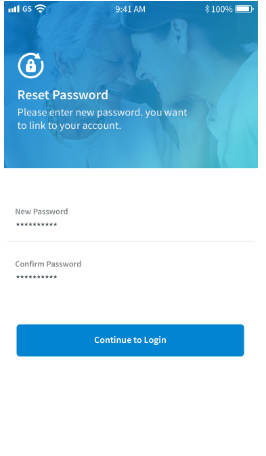 Password reset from the Caregiver Smartphone app has become easier. 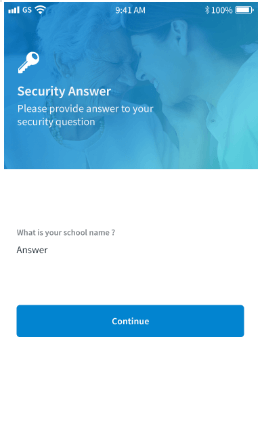 Caregivers just need to answer their security Question correctly, based on the answer they provide when they activated their account, and then they can enter a New password.